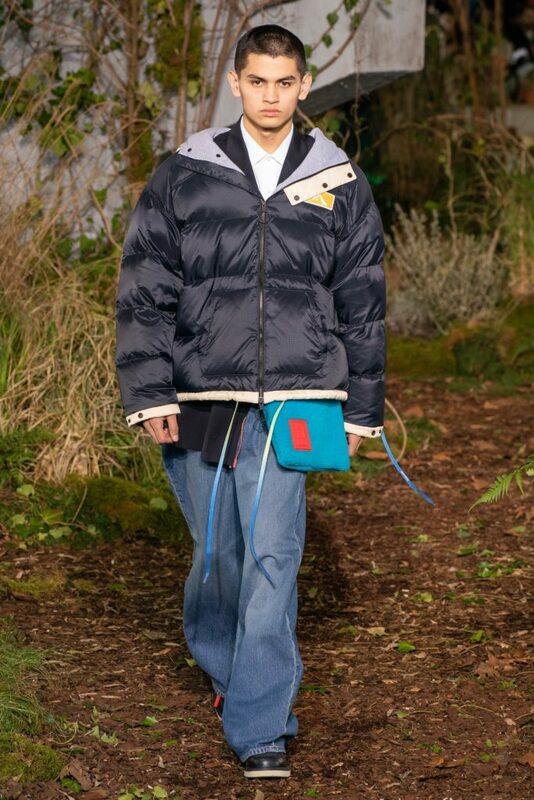 Let me say right off: If you have any doubt, then Off-White’s Virgil Abloh should totally convince you – about…. 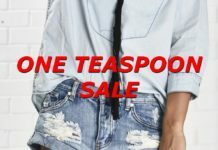 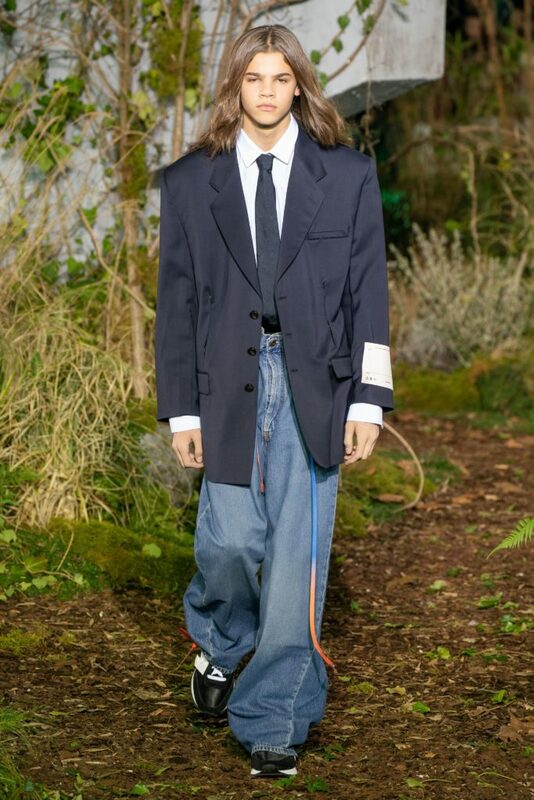 : The trend for men’s denim this coming fall is going to be baggy, oversized, slouchy, and – yeah – high waisted. 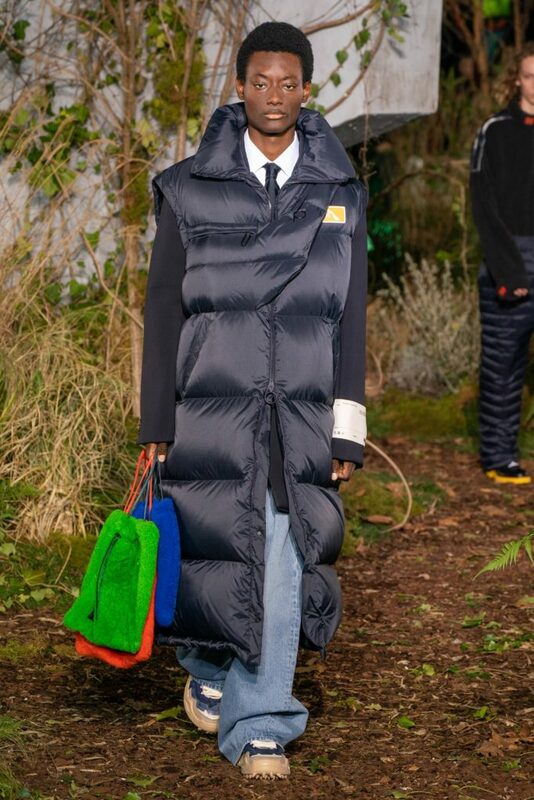 Virgil Abloh had his say by creating looks like uber-sized jeans paired with a dress shirt, tie, blazer, and a motorcycle leather jacket on top. 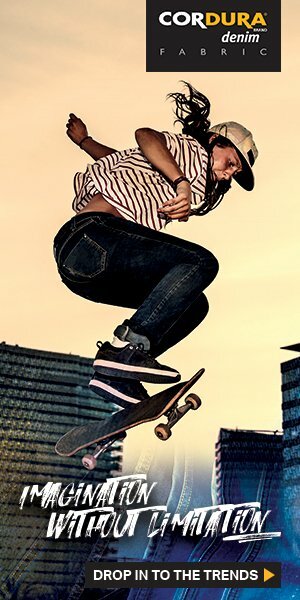 (first image below). 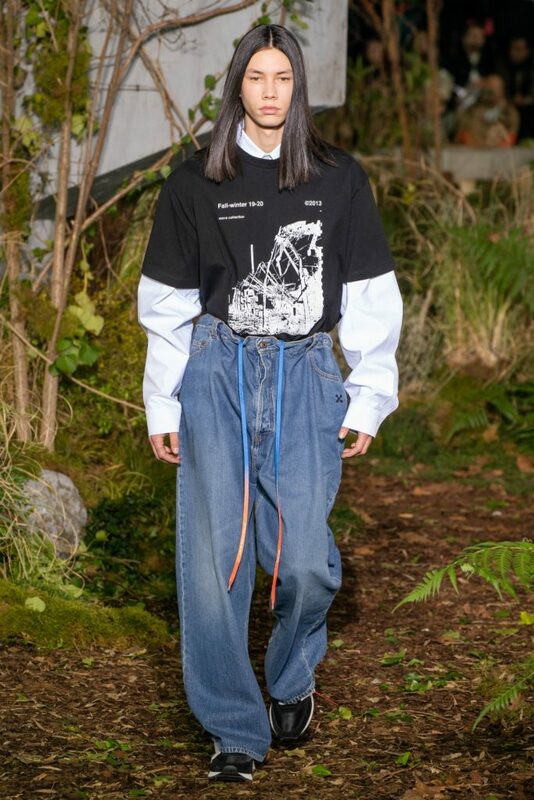 Or how about the high waisted drawstring jeans worn with a white shirt layered under a black graphic t-shirt (second image below). 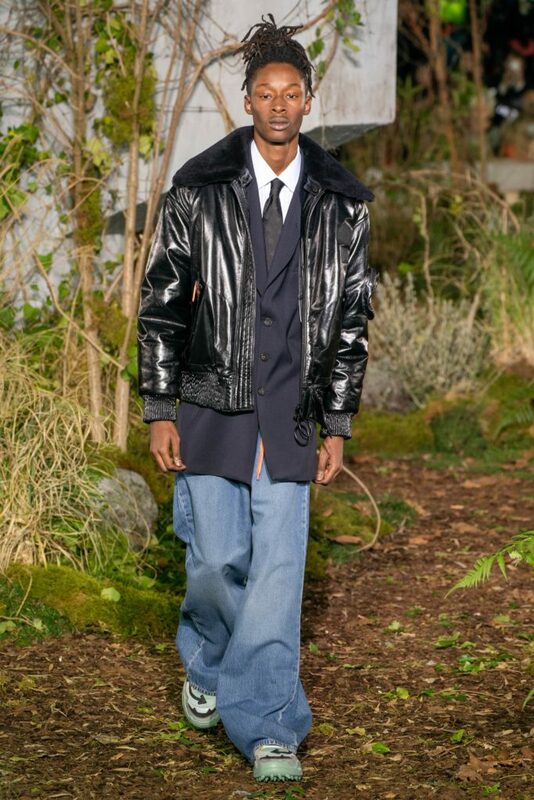 And just FYI – Virgil openly credited JNCO Jeans as his inspiration behind the baggy jeans. 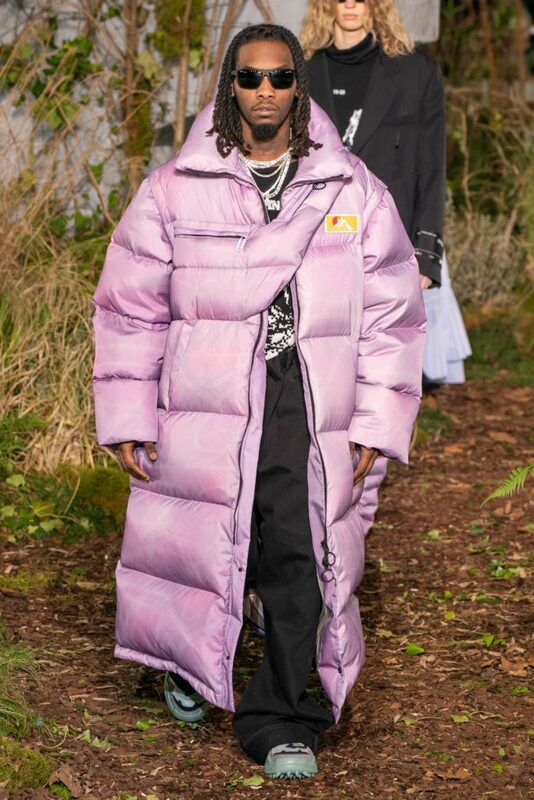 At any rate, even if this runway show does not convince you, at least you can get a kick out of (in)famous rapper, Offset, who walked the show in an ankle length lilac puffer coat (image above). 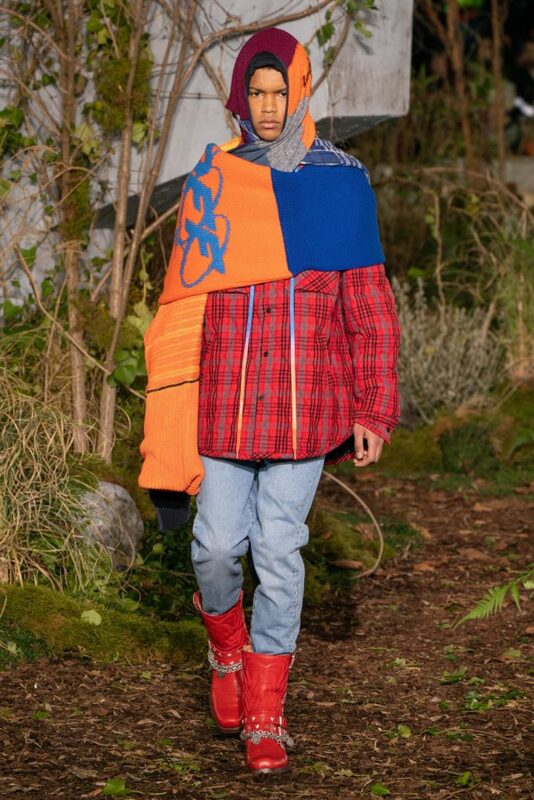 And I couldn’t resist posting the model in the two-tone (?) 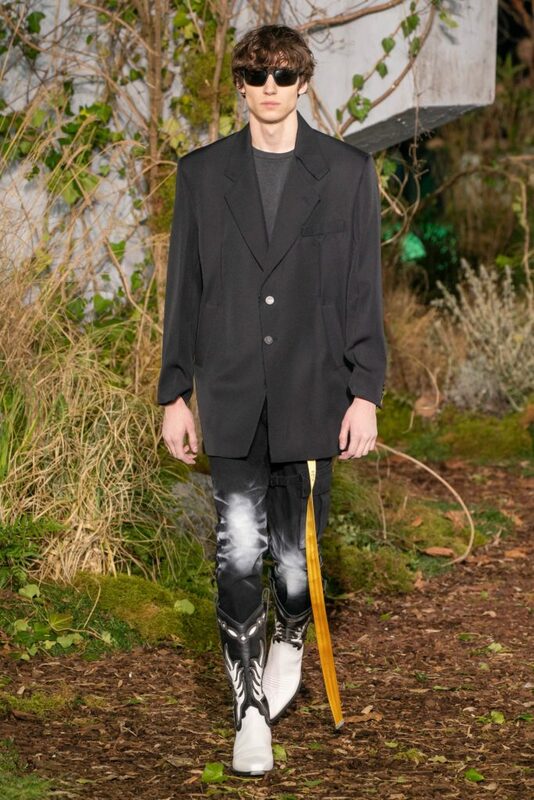 blazer in the last image below. 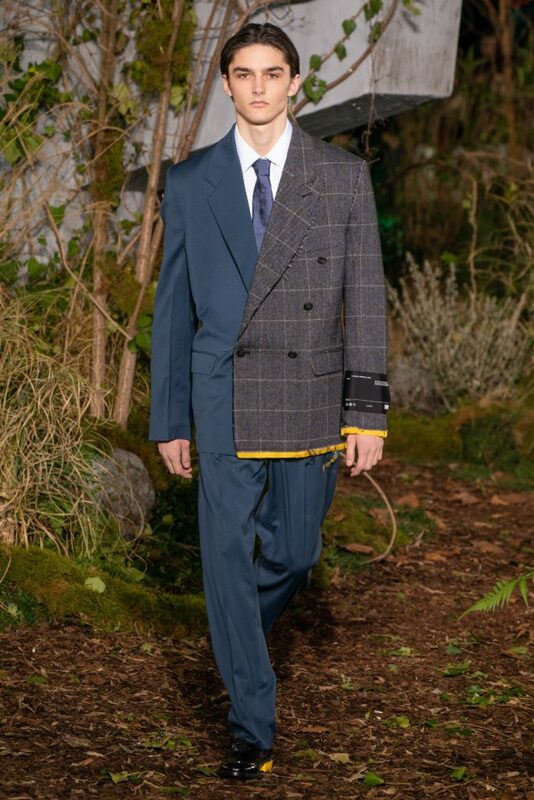 Just curious – would you wear a blazer like this? 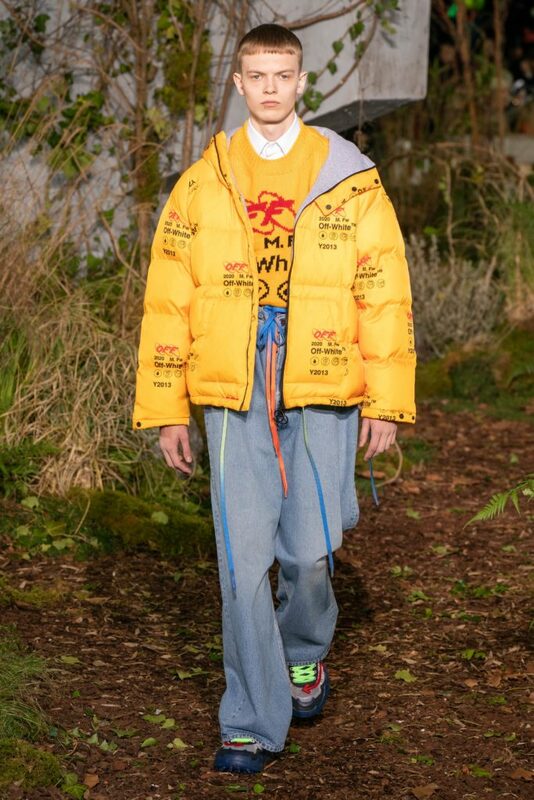 You can shop for men’s Off-White clothes from the current spring collection here and here. 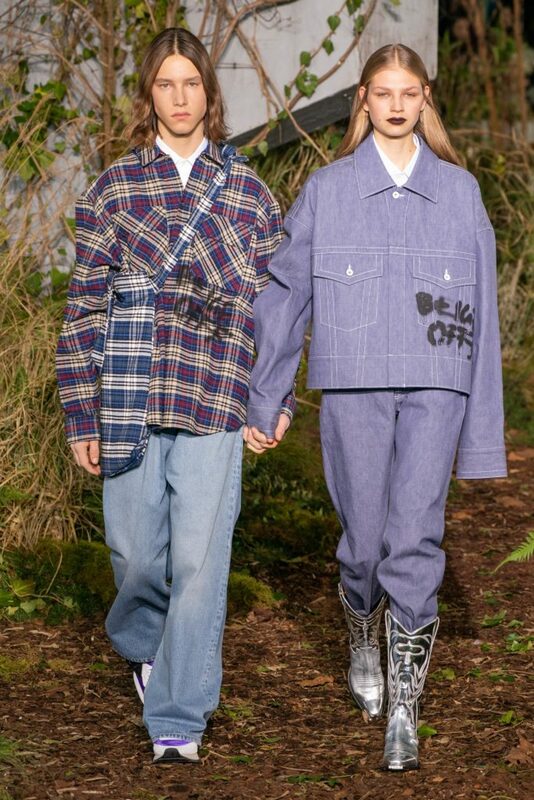 Previous articleBoyfriend Jeans with Rolled-Up Cuffs – Comeback?